Adobe has branched out from its software business into hardware with the introduction of Ink and Slide. Ink is a three-sided hydro-formed aluminium stylus for the iPad, while Slide is a digital ruler and companion to Ink. “We’re a software company and we have a long history of that,” he said. Burnett adds that Ink aims to stand out from other styluses on the market by bringing pressure sensitive response, while Slide allows precision sketching of lines, circles, and shapes. The two accessories are being lauched together with three new mobile apps for iPad, Adobe Sketch, Adobe Line, and Adobe Photoshop Mix. When touch based devices such as smartphones and tablets debuted, Burnett said there were limitations from a creation perspective. “If you were to do an illustration on an iPad, you just have your finger and it’s not great,” he said. 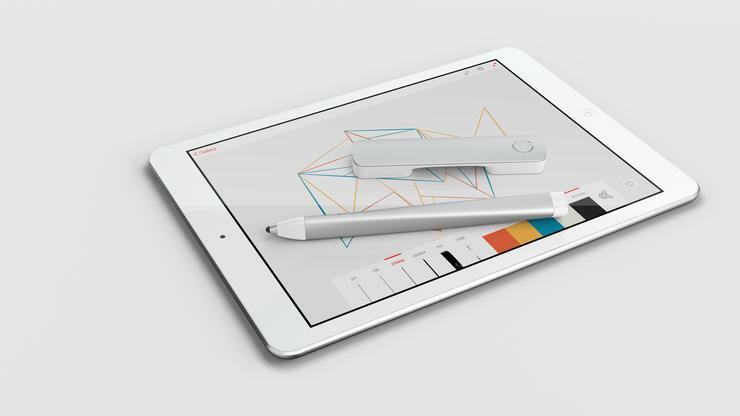 After recognising finger-based input was one of the key limitations to being able to draw digitally, Adobe then looked at offering a hardware solution. “We did it to expose the power of the apps, not necessarily because we had a plan to go beyond software,” Burnett said. While branded with the Adobe logo, the company will not produce Ink and Slide. Instead, that task been outsourced to Adonit, a company that creates accessories for tablet devices. The accessories are available now in the US, though they are expected to come out in Australia later in the year at a price to be announced.